If you have not seen much from me on this site, it is due to the fact that I have moved most of my professional work to my partnership with the Great Philip Morgan. Together, we are The Word Lions. I will still sometimes blog here, and am happy to talk to you directly about your communication needs. While scraping the last of the coffee grounds out of the grinder, trying to maximize that pot of coffee this morning, I heard an NPR Morning Edition segment on how people’s trust of Toyota is irrationally affected by incidences such as the recent recall. Apparently, people’s feelings about brands is more than their desire to own a product; they also need to feel good about the company that is providing the product. Since Toyota made such a PR boo boo out of their technical errors, people are naturally lessening their receptiveness to the Toyota products. Mr. DAVID ROPEIK (Risk communication consultant): We don’t calculate risk based on our probabilistic chances of something bad happening. We gauge risk based on do we trust the people who have made the products were taking; the pharmaceuticals, the cars, the neighboring nuclear power plant. JOHN HAMILTON: And Ropeik says often we don’t, especially if we think they may have withheld information about the safety of a product. He says people also tend to think something is especially dangerous if its being imposed on them. I agree with the insinuation of the article: since we can’t control everything about the complex items we purchase these days (cars, health insurance, software), we choose organizations — in the form of brands — that we trust. Up until a month ago, Toyota was a company that we trusted. Now, they have lost that trust and expect to lose market share as a result. Interestingly, as I was writing this, NPR’s All Things Considered had another article on Toyota, about customers crowding Toyota dealers looking for bargains. This is a (arguably more rational) move of people trusting in the enduring reputation of Toyota. They expect that the government and the company are motivated to make good on the current issue and are capable of making a safe, quality car. Perhaps “reputation” can stand in for “brand” in some situations. They may still see a reduction in sales, but everyone is pretty confident that Toyota will pull through. Toyota has a trusted brand. One without the other would significantly increase the risk to the company. Where is brand in a transaction? I wanted to believe him, because I find the concept of brand to be an irksome illusion. Isn’t the normal treatment of brand just the installation of a thin, shiny scrim in front of the corporate headquarters? Brand is so often something that we hide behind. These days, my thinking is that brand DOES exist, but that brand is almost always misused. I am a fan of the Portland Trail Blazers like some people are a fan of running water. Anybody who knows me is aware that I am much more fun to be around the morning after a win than the morning after a loss. Last season, for the first time in many years, my beloved Blazers made it to the playoffs. I was beside myself. Committed. I cheered, I exhorted, I bought tickets and concessions. I participated. The Blazers were defeated in the first round of the playoffs, somewhat ignominously. I was crushed. And what do I do? I come back for more, buying new tickets for the next season. How does misery like that make me want to repeat the process? Hope. I have hope. And they sell tickets to me on the premise that my hope may someday be fulfilled with a National Championship. I hate you Trail Blazer marketing team. You have me twisted around your finger. Writing with the Bicycle Transportation Alliance. 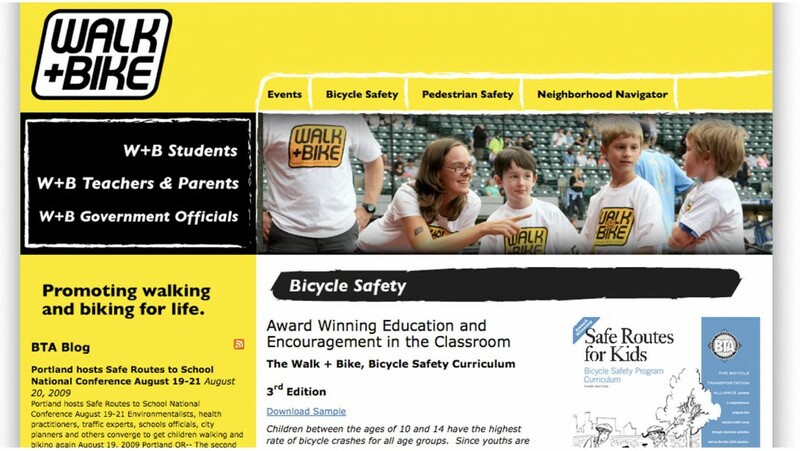 In a volunteer effort with the American Marketing Association Community Outreach Program, I just finished up this project with the Bicycle Transportation Alliance to introduce their walking and biking safety curriculum to the world. The AMA and BTA assembled a pretty cool team. Seems that every time we needed something, there was a person at the table who knew just what to do. I felt like I was a member of the GI Joe of non-profit marketing. We started with fun big dreams… and then figured out what we could do with our time and budget. Kristin Wille did the design work and I wrote the page copy. By using my good friend the blogging/content management system WordPress, Kristen made it possible for the BTA staff to manage the site themselves on into the future. Good stuff, done for good. I hate word pollution. I feel angry when the public is subjected to poor phrases that are catchy and torturous to the mind. There is one that I hate perhaps above all others. Not that it was particularly bad at first. Somewhat clever and well connected to the product. Posing a question, it begs a response. But then we were soaked in it. TV, print, radio, I suppose that there was sky writing as well. Why not? It was two short words. Put it everywhere. I grew tired of it. We all did. 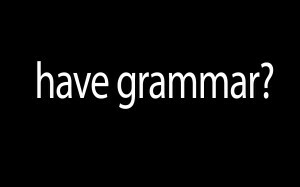 Poor grammar is only cute for so long. Other organizations quickly realized the phrase was delightfully modular: The poorly worded question could be asked of any noun – and often somewhat inexplicably of verbs as well. “Got rock climbing?” I don’t really get it. The “got milk?” campaign has lived too long. It is in fact 16 years old. I have waited patiently for it to fade of its own accord, but it seems to have an eternal life. I am now on a campaign to rid the world of the “got blank?” construction using the most powerful weapon that I can wield: public shame. Join us today. Visit cafe press right now and make an order for the anti-“got blah de blah” message. 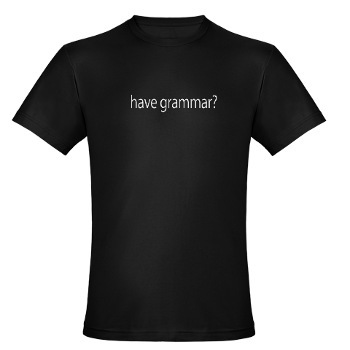 By simply wearing this shirt you will help to save America, indeed possibly the entire English speaking world, from banal phrases and poor grammar. Modern language is moving pretty fast. A new product (FaceBook) becomes a verb (FaceBooking) before the Modern Language Association has an opportunity to write a well worded memo. Sometimes, these organic language shifts are fun. People create “fanboy” by quite naturally combining fan and boy to quite appropriately describe certain pop culture enthusiasts. However, when there is a corporate brand involved, weird things happen. Now, I am fascinated with the obsession with branding in the marketing world. Not that brand identity is not an important issue for a company, but it so quickly goes too far. I mean, before marketing theory used the gerund (the “-ing”) version of “brand,” branding was the painful process of burning your mark on the flesh of your cattle. I am not a true blue branding expert, but I wonder why the brand must be so ferociously protected. Why not release them to the public and allow them to use your brand as they need to? Has anyone tried Open Source Branding? I bring this up because sometimes brand names are very unsatisfying when we try to use them in our normal life. The greatest burr in my side is Apple’s “i-” construction. Since there is already a specific noun stuck on the damn thing, how do we explain when someone owns an idevice? I do not own an iphone, so I sometimes find myself asking, “can I see your iphone?” Ouch. It hurts so bad to say “your I.” And that is nothing. When I want to play someone the new song by Augie March, I say, “It is right here on my iPod.” Say it out loud: “My iPod” — not only a contortion of grammar and syntax, but crippling to the tongue. This approach also works for Myspace. My apologies to Steve Job’s brand police for open sourcing their identity. When creating marketing messages, particularly for technology and software, the industry standard has been to break down the conversation to features and benefits. The argument is that we simply list the elements of the product and call them features. Following that, we affix a significance to those features and call those benefits. It can really stir people’s emotions. Developers are proud of what they built and want to see their efforts called out. Often, sales wants to pare down the features to what they see as the selling points of the product. It can bring up really good internal conversations. 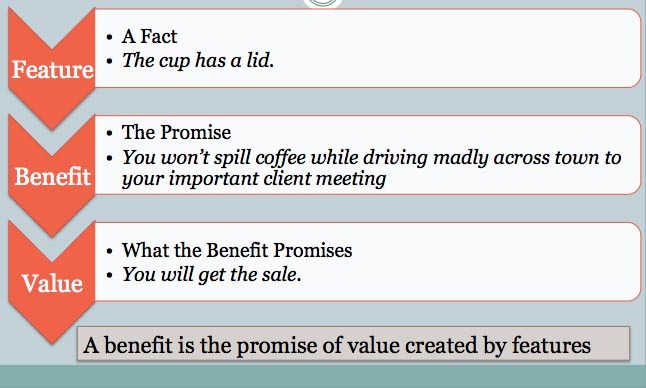 A benefit is the promise of value created by features. I really like this. 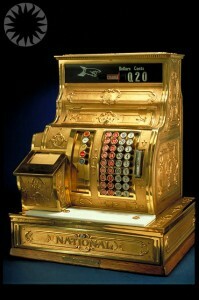 It introduces an end goal of features and benefits: Value. I am just wrapping up a project creating a user manual for an audio device. It was a small-scale technical writing project that is quite easy to turn around. This morning, I just want to crow to the fact that I got the timeline right, the budget right, and all the stakeholders are really pleased with the product. Trifecta! Getting a writing project on time, on budget and up to spec is not as easy as it seems. There are a lot of ways that a writing project can go wrong. I believe that a good portion of those problems occur in the initial meeting to launch the project. We can prevent projects from derailing by planning well early in the process. I try to identify any potential problems during my first engagements with a client. Identify stakeholders and their roles. Who is a technical reviewer? Who is a content reviewer? Who provides final sign off? I can be pretty blunt with customers that increasing the number of stakeholders can add days to a project. Participants need to know their roles and responsibilities early on so that they are not taken by surprise. Don’t promise what you can’t deliver. Establish realistic timelines. This is easy to write, but so often we are tempted to pitch an agressive time table or an idealized plan for the future when we are in a meeting trying to get the project launched. Sometimes we have short timelines, but that does not change the facts on the ground. Let’s deal with a timeline that is doable for everyone. Guide the review process. Not everyone is a specialist in documentation. I find that even when I am the contractor, it is best for me to set up the process for reviews. Tell people how to use the Microsoft Word “Track Changes” feature. Be clear about who owns the current version of the document. Make it clear when reviews need to be completed and keep in contact with reviewers. It felt downright old-fashioned to write for print — well, for a PDF published to a CD, actually. I hope to get more of these opportunities down the road. When my primary client was Microsoft, they used the term “evangalist” to describe advocates who put on training presentations. I like that. It is an honest, if perhaps overblown, image. The evangalists want to speak to you about what they believe in. You know that they are advocating for a point and you expect that they have a thorough knowledge. My friend and cohort Bob Carver at Aeshen creates great technical communications that evangalize for products. Through dynamic interactivity and creative communication, Aeshen can create thorough messaging for complex product lines such as Microsoft Forefront. I worked for Bob for many years and really appreciate the capabilities that he brings to the table. Aeshen is staffed by technical people who can get to the core of a product’s quality and pull out the gems that mean something to a technical customer. I learned a lot about bringing value to the audience working on these sorts of projects with Bob. My portfolio includes some examples of the good stuff we created. I have been having a lot of conversations about elearning as a marketing opportunity. Thinking more about it, the semantics are backwards. Marketing is more parallel with eTeaching than eLearning. We are talking about a concept in need of a name. It is the act of creating real, valuable content and providing it to customers/students/partners. I don’t pretend that this is an entirely new idea, however the audience and technology are now ready for a model of marketing through eTeaching. The provider can reach a very targeted interested audience. With mailing lists, search engine marketing and search engine optimization, we can get right to our desired audience. The investment in creating content which we want to turn in to seat time is spent on people who are actual potential customers. It sure beats walking around town with a sandwich board around your neck. Customers are accustomed to getting value in exchange for seat time. I just spent a Saturday morning sucking down coffee and playing a video game provided by Johnson Controls. The game is spot-on brilliant and I have enjoyed passing it along to all of my basement-engineer friends and family (congrats on the 91% run, Dad!). I am not entirely sure how it helps the Johnson Controls brand. I certainly would not have spent 4 straight hours on their Web site had they not had the game. It delivered some sort of value — although my incomplete weekend to-do list certainly speaks to the contrary. Because it is a way to deliver targeted value I am certain that more training-as-marketing and marketing-as-training applications are going to be appearing in the near future. I wonder what they look like and what will evolve out of it.